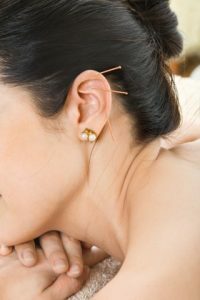 If you have checked out our latest blog, we have been going over how acupuncture helps with relaxing the body and mind. Not only can acupuncture benefit you mentally, but it can also help with physical challenges. Tension relief, headaches, nausea, and even weight loss can be curbed with acupuncture treatment. At Abarr lake Chiropractic in Loveland, we want to make sure you are always feeling your best, and we can help you with our acupuncture treatments. Acupuncture can help with many issues you have been struggling with, including weight loss. In Chinese tradition, it is believed that if the energy pathways of the body are imbalanced, this can cause weight gain. This also creates an imbalance within the spleen and liver systems within the body. 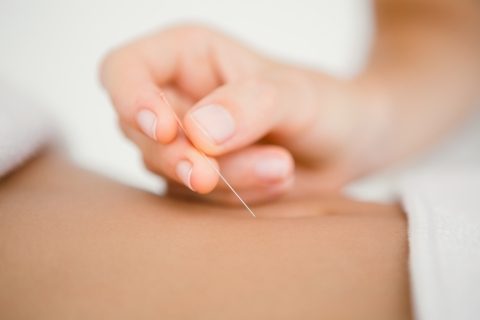 Our skilled acupuncturists will make sure to target the areas that affect your weight balance the most. Endocrine – kidneys and other parts of this system are directly related to water retention and water weight gain. Acupuncture will activate the nerves and created hormonal balance. Spleen and Thyroid – Focused on the sugar intake of the body. This type of acupuncture placement targets the effect of sugar on the body and more hormonal balancing. Adrenal and Ovary Glands – For our female patients – This acupuncture will be targeted because of menopause or premenstrual syndrome(PMS) weight gain. Spots in the ear that are believed to trigger hunger and other food cravings. Acupuncture can also help speed up metabolism which may also affect weight gain. Endorphins are also continually released to help curb hunger as well. This stimulation of endorphins and the areas that cause weight gain the most will hopefully prevent further weight gain and start creating weight loss. Acupuncture is a Chinese tradition that has been around for many centuries and has many benefits to help maintain a healthier lifestyle. Being overweight leads to many health problems that can affect various areas of the body such as the heart, breathing, and joints. We, at Abarr Lake Chiropractic in Loveland, always want you to be in the best health possible. That’s why all our acupuncture and chiropractic treatments are catered to your needs and completely customizable. We realize that everyone is different and requires different needs for treatment. If you tend to struggle with weight loss or anything else that can be healed with acupuncture place call and schedule your appointment in Loveland. We can start helping you today.